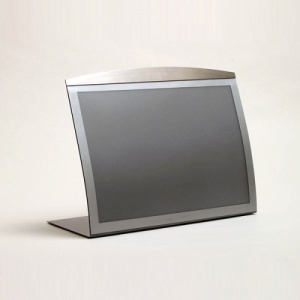 The Landscape Tabletop unit is a very popular display unit due to a lot of menu's being in this format. The unit is only available in Silver and is a tasteful table talker or to inform of offers to a queue of customers. Like all the Satellite units they have the magnetic screen for easy changing of your graphics. 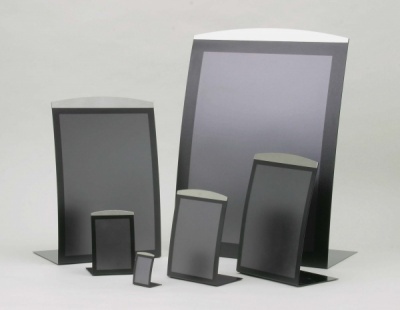 The Portrait Tabletop unit is a very popular display unit due to a lot of graphics being in this format. The unit either in Silver or Black is a tasteful table talker or to inform of offers to a queue of customers. Like all the Satellite units they have the magnetic screen for easy changing of your graphics.